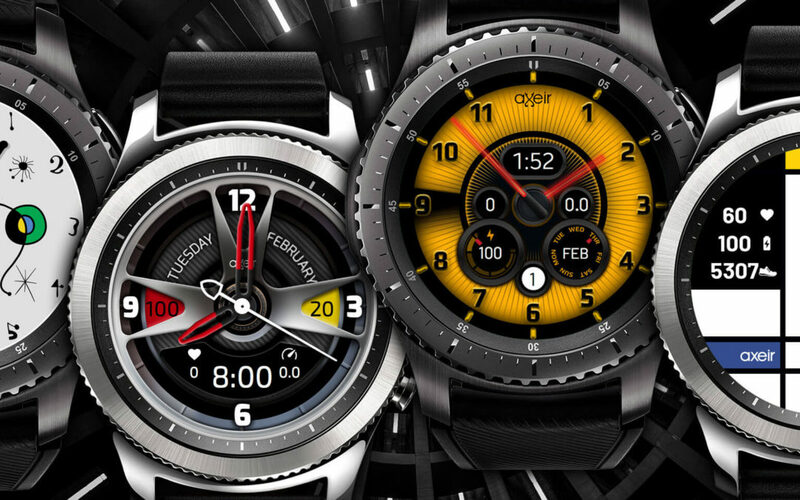 Samsung reached out to us to see if we might be interested in designing digital watch faces for their “Gear” smartwatches as well as phone themes for their Galaxy devices. What did we say? Heck ya! We then developed a new brand called “axeir”. If you own a Samsung phone or watch, just search the Samsung app store to see all of our amazing interactive designs, or check us out at www.axeir.com! Years ago when we were working out of Menlo Park, California, we did a logo for a startup company like so many projects we did “back in the day”. This was a typical startup company; small non-discrept office in an office park full of dentists, psychologists, accountants and of course startup after startup. They had a handful of employees, a few cubicles, rental office equipment from 1985, all squeezed into about 800 sq. feet. 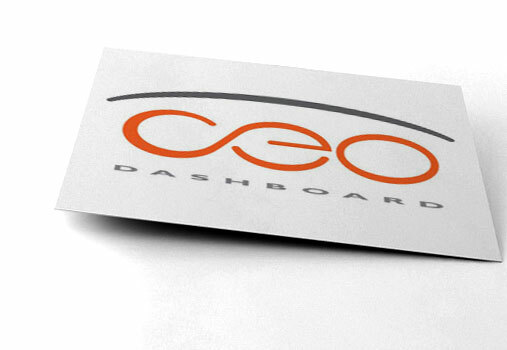 We created a nice logo, business cards, presentation folders, datasheets and of course a website. After the project was completed we simply filed them away with all of the other startup companies that came and went during that era. 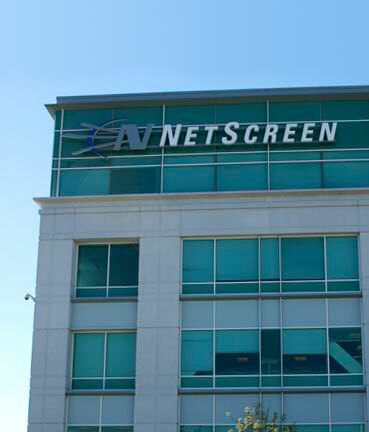 The company was called NetScreen and they had developed a firewall device for internet security. Soon after we moved our office to Danville, California, on the other side of the bay, and it would be years before we would drive the roads near our old stomping grounds. One day, as I happened to drive down 237 in Sunnyvale, there it was; a huge shiny hi-tech building and our logo displayed prominently at the top. We had made it big time! I quickly exited the freeway and navigated through the streets to find the entrance. It was a Sunday afternoon and the parking lot was empty except for a few cars. I parked my car and grabbed my camera. Which to this day I still do not know why I had a camera with me since digital phone cameras were still a good 5 years away, but fortunately I did. I started to snap a few pics of the building when I was approached by a well dressed man. With a confused look on his face, he asked why I was taking a picture of the building. I told him that years ago we had designed the logo and had no idea they had become such a large company and had this fancy new building, obviously having much success along the way. 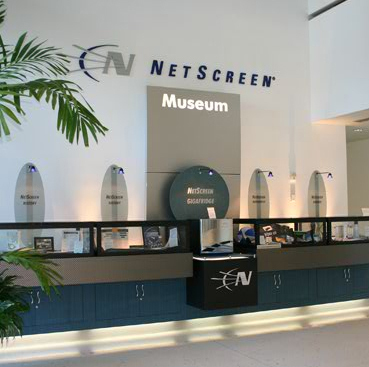 He was an employee of NetScreen and said to me, “Have I got something to show you… but it won’t last long.” I wasn’t quite sure what he meant, but he brought me into the main lobby of the building and there it was, our logo plastered 2 stories tall in the interior and an area called the NetScreen Museum. There were multiple enclosed glass cases with everything imaginable bearing our logo; coffee cups, awards, pens, shirts, notebooks and more. There must have been at least 50 items. It was a very surreal experience, kind of like there was this whole other world going on that you knew nothing about. He said, “Be quick, there are guards and you are not supposed to be in here. Take as many photos as you can because the company was just sold and they are taking everything down this week.” Our beloved logo, 5 stories atop the building was about to disappear just as quickly as it was discovered. The joy of knowing that your logo had made it big time was amazing, but then realizing that oh so quickly it was all about to end, felt far more like a sad dream than reality. I snapped photos of everything I could, but often found myself not looking through the camera lens but gazing among the artifacts like an anthropologist must feel when an egyptian’s tomb is discovered. It was cold and quiet, just the sounds of footsteps from my accomplice as he followed me around. He definitely was enjoying the moment as much as I was, smiling the entire time, which felt a little odd to me knowing that the company he worked for was about to close the doors and strip itself of it’s identity. I could sense it was time for me to leave and truly had a sad feeling come over me. I turned to my acquaintance and gave him my condolences. I know what it is like to work for a large company that is sold; ex-employees scatter everywhere trying hard to land on their feet with a new job. It can be extremely challenging. However, he turned to me with the biggest smile I had ever seen from an employee about to get the ax and said, “Don’t feel bad. They bought us for $4 billion dollars. Life is good.” Our little logo helped grow this company to be worth $4 billion dollars???? Darn! Maybe I should have charged a bit more. Good design starts the way our grand pappy did it, paper on pencil…. and of course a good trusty eraser. When you have only a pencil in your hand, the ideas can just flow without getting hung up on grabbing an anchor point and trying to tweak an arc with your mouse, or searching through every single font in your library looking for that perfect typeface. By first concepting with pencil on paper you can see if the true design works. You see the balance, the play of light and dark, how well the negative space works; no Photoshop filters, no backgrounds, stylized effects or drop shadows. You don’t have to be a good illustrator, you just have to have vision. 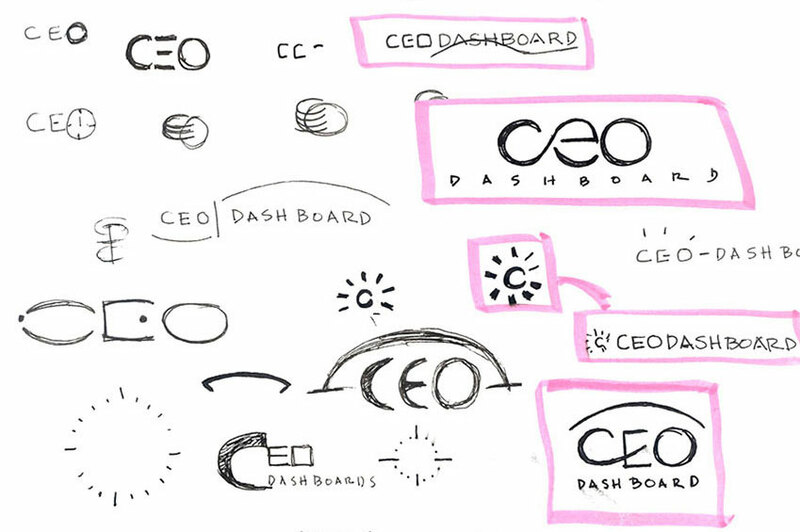 When we design a logo, we often sketch as many as 40 ideas. These ideas can be random or inspired by something we saw. They can look like they were all drawn with your opposite hand, but somewhere on the page will be a few logo concepts that have potential. The next step is to scan your ideas that have potential and place them into a design program such as Adobe Illustrator. If we sketch 40 ideas, we can expect about 10 to be selected for this next round. Scanning your sketch is critical. If you simply look at your idea and try to replicate it on the computer, the balance will be off and often you will look at your computer version and think, something is not right. 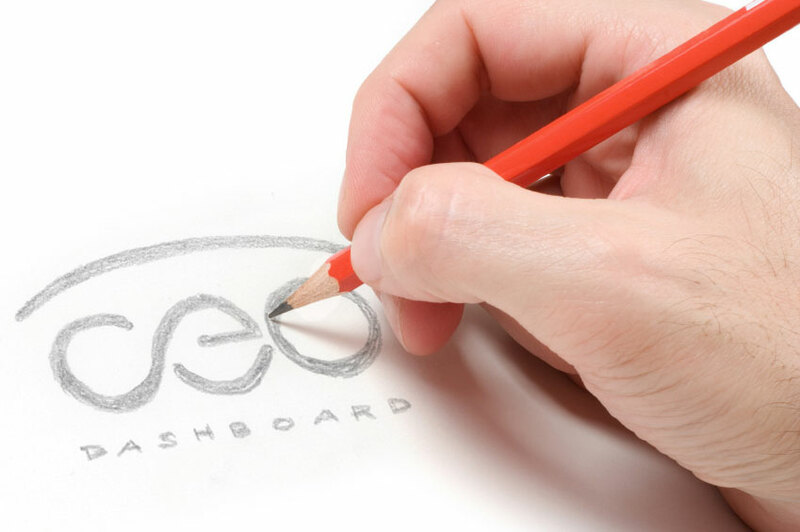 By using the drawing tools to trace your scanned concept, you will have a far easier time to truly transfer your concept into a digital format. Keep it simple at first. Work only in black & white so that you do not get caught up in colors and textures. Check to see if the design works at a small size. Nothing worse than finalizing a logo and then having your client say, “Great. Now I want to put it on a pen. If the design works at this point of the process, you know there is a strong chance it will work after you add color and possibly stylized effects. Generally only 5 of the chosen 10 sketches make it to the next step of the process. Color is what gives your logo brand an identity. It generally is the first emotion you feel before you even know what the logo stands for. Do some research as well as some consulting with your client to ask about colors, likes and dislikes. Certain cultures have a strong opinion about specific colors and the meaning they carry. Do your research beforehand. You don’t want to have a great logo concept rejected only because the client hates purple. 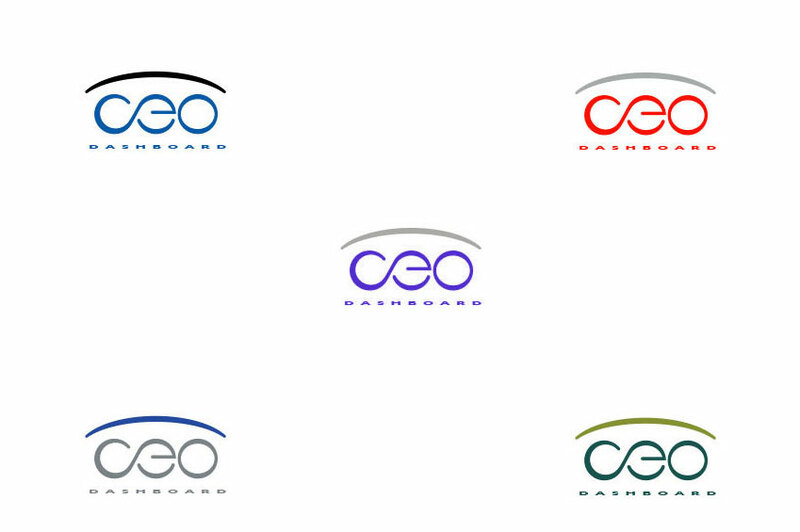 Try the same logo in different colors. It is surprising how different of a feel you can get from a red logo versus a blue logo. After you have chosen color options for your logo concepts, be sure to print them out on separate pieces of paper. This will give you a chance to see the logo on it’s own, without the influence of your other logo designs. It also gives you a chance to see the logo in a natural environment. Toss it on a table with a few magazines or even the day’s mail and stand back a few feet. Take a break and come back in 15 minutes. How does the design feel? Does it give the right vibe? Will it stand out when lying around with competing collateral. 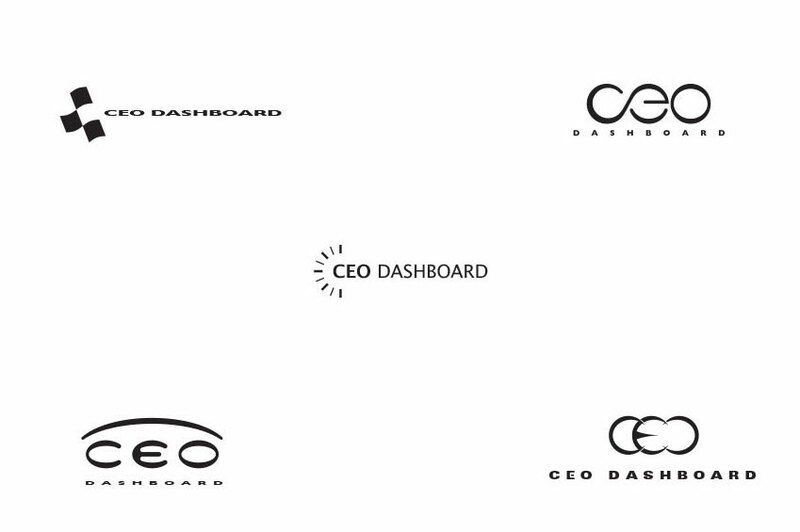 At this point the goal is to have 3 strong logos to present to the client. We like to take the approach of showing a conservative logo, a “middle of the road” logo and something a little crazier. The logos you present will be the start of the discussion and also the beginning of the revision process. Typically, a client will choose one of the options but may also like certain elements from the other options. The next phase is to revise and possibly show 2 to 3 new logos based on the chosen design as well as the client’s feedback. Options could be based on color, font selection, weight or even orientation. It is surprising how different a logo will feel if there is an icon that is stacked vertically on top of a word mark than it would be if it was to the side. This general approach from pencil & paper to production is not just for logos, we take this approach to every project we work on – logo design, website design, even brochure design. Remember, keep those initial sketch drawings to your self even if your client claims to have “good vision”. Moat likely they are just trying to save a little time ($$$) with the process. And, never toss the sketches even after a project is completed. You would be surprised how many times a rejected sketch for one project is reincarnated for another project and becomes one of the selected options. 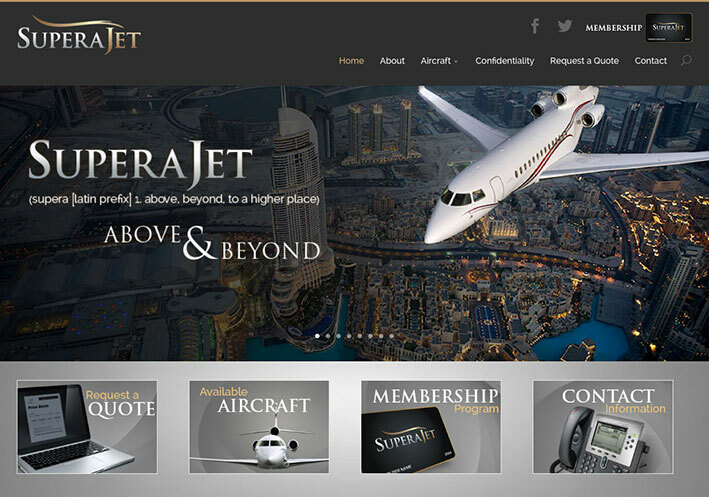 We recently completed a great website project for the folks at SuperaJet. They came to us through a glowing referral and the end result was a website that not only met all of their criteria, but also looked stunning. SuperaJet is based out of the Santa Barbara area and caters to individuals looking to charter private flights from a wide range of aircraft. So, next time you want to fly to Seattle for a cup of Joe, hit the slopes in Colorado for a little weekend skiing or simply need to attend a business meeting, but want to travel in style, be sure to give our good friends at SuperaJet a call!